Congratulations to MN Wing’s newest private pilot, C/AB Blake Rehnelt of Mankato Composite Squadron! Cadet Rehnelt has been working hard and had many lessons cancelled due to inclement weather, so we are very proud of him earning his wings!! 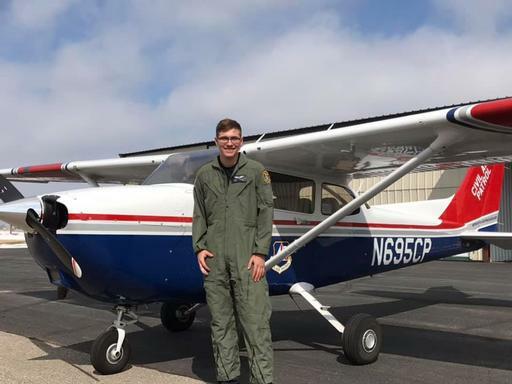 Cadet Rehnelt is a junior at St. Peter High School and hopes to pursue an aviation career by attending MSU - Mankato in their aviation program.